London is one of the world’s busiest and most vibrant centres of commerce in the world. It’s a global destination for business travelers and home to some of the largest and most well-known brands and corporations in the world. With a full calendar of conferences and exhibitions year round, thousands upon thousands of business men and women find themselves in the Capital each week, many in search of the perfect venue for their next business event. With everything you could need under one roof, the Grand Hotel Hyde Park is a popular choice for business events large and small. We have dedicated facilities and an experienced business team but, there’s lots of other reasons why you should you choose one of our 4 star hotels London for your next meeting, conference or business event. Located near to the park itself, the Grand Hotel Hyde Park is in one of the best parts of the city. Not only is it close by to the main business areas, it’s also surrounded by some of London’s main tourist attractions. This works out great if event attendees have some spare time and want to see what else London has to offer. Over the years we have hosted a number of private events, functions and business meetings. We have dedicated spaces and the experience needed to ensure everything goes to plan. We know what is expected and have the skill to help your event run smoothly. There are four different meeting rooms at the hotel, all of which vary in size. This means we are able to configure the rooms to meet your needs, regardless of how large or small your business event is going to be. All of the rooms have natural daylight and seating arrangements can be set up accordingly. No business event is complete without food and drink. After all, nobody wants attendees who are more concerned with being hungry than the event itself. The restaurant at the Grand Royale London offers a range of delicious food and the bar is fully stocked with all your favourite beverages. As one of the top 4 star hotels in London, we pride ourselves on offering the very best equipment to all of our guests. All of the event rooms at the hotel have been equipped with the superb facilities including large screens and fast WiFi. The venue you choose for your event says a lot about the event itself and a great hotel reflects well on you. All of the rooms at the Grand Royale London are wonderfully decorated and staff provide an exceptional service, both of which are sure to impress. For more information on hosting a business event at the Grand Royale London or to make a booking, get in touch. 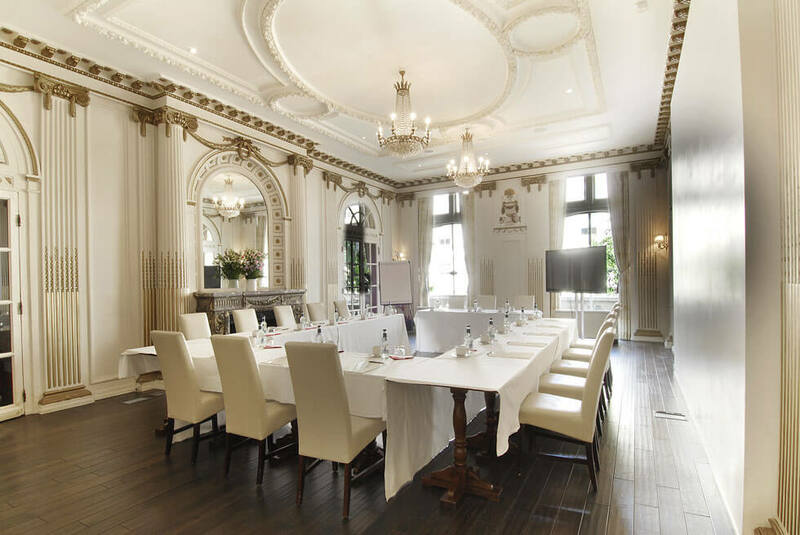 Share the post "7 REASONS TO CHOOSE GRAND ROYALE LONDON FOR YOUR NEXT BUSINESS EVENT"